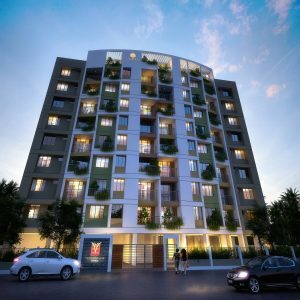 This is part two of a three part series, taking you behind the scenes to understand the inspiration behind ‘Aanandita’, a one of a kind assisted living solution in the celestial town of Guruvayoor. According to a report by real estate consultant Jones Lang LaSalle (JLL), India had around 100 million senior citizens (aged 60 and above) in 2012. This number is expected to double by 2030 and is in turn expected to constitute nearly 20 per cent of India’s population by 2050. * As this number increases, couples and individuals who want to be independent without compromising on safety and comfort are seeking alternative residential solutions for their retirement years. Seniors in India are typically taken care of by their children or family members. Today with the younger generations travelling and settling down in different parts of the world, a large section of seniors are staying alone in traditional housing set ups that leave them exposed to risk of urban crime besides taking on the myriad hassles of day-to-day living in an urban ecosystem which is not sensitive to their requirements. The need for quality living facilities tailor made for independent senior citizens is paramount. These facilities cater to basic needs such as housing, nutrition, security and convenience while addressing their wellness needs. ‘Wellness’ as a perceivable need has transformed from just physical wellness to encompass financial, spiritual, emotional, intellectual, social and environmental wellness. Ideal for active seniors who are able to take care of themselves and have no serious healthcare ailments. Care for seniors begins with Independent Living (IL), an IL unit is no different from traditional housing but is better designed in terms of an architectural standpoint with the inclusion of various design interventions that bear in mind the requirements of active seniors. These could range from better lighting, mobility facilitation, and aspects of universal design. Bathrooms and kitchens are designed to accommodate wheelchairs and walkers, hallways and doors are wider and tiles and flooring are anti-skid. Socialisation plays an important role in uplifting the atmosphere of the IL and improving the health stature of the residents. Ideal for seniors needing some support for day to day activities. Assisted Living units allow residents to have access to care workers who can assist the residents in day-to-day activities. It is possible in the Indian context to integrate both Independent Living and Assisted Living by having provision for care worker rooms within the Independent Living units. Such care worker units could double as an office in the younger stage and allow for a 24/7 care worker stay if required in later years. Both in Independent Living and Assisted Living, residents have access to short and long term nursing needs, while enjoying the environment similar to their home. 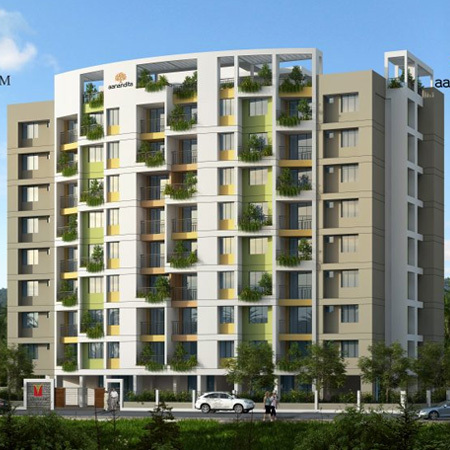 This reduces the need to travel to hospitals and creates an atmosphere conducive for building a healthy lifestyle. Ideal for seniors that need continuos medical attention and care in a homely environment. Skilled Nursing Care (SNC) provides residents with nursing care facility. It has provision for taking care of physical or mental disabilities and the residents are provided with physical, occupational and rehabilitative therapies. Services increase considerably in this stage – with availability of nursing aides and assistants; physical, occupational and speech therapists; social workers and recreational assistants; and transportation. Greater care is required in a timely and appropriate manner. The prime objective during this stage is to provide a holistic and yet home-like environment to the residents. 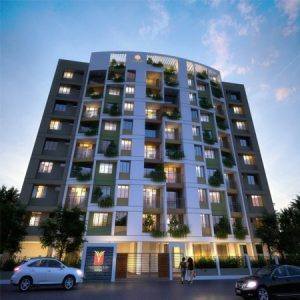 While conceptualising ‘Aanandita’ thorough research was done to understand the various ingredients that would make the perfect solution for our customers and we are delighted to bring this solution to you. 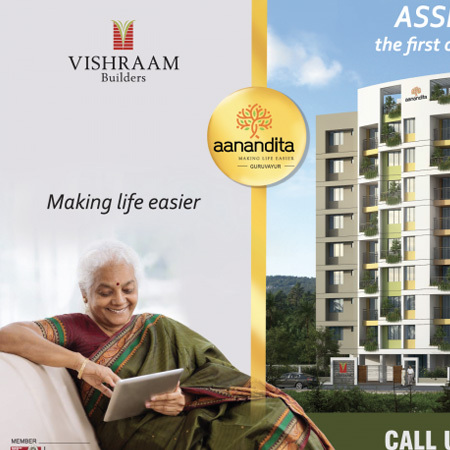 Aanandita has re-imagined post retirement living. Our offering is at the cusp of Independent Living and Assisted living, a haven that celebrates independence without compromising on security and serenity.